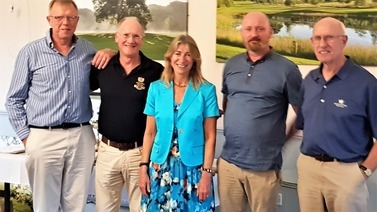 BGC hosted the Bedford Hospital Charity golf day for the 17th time last week, with a strong representation from members. 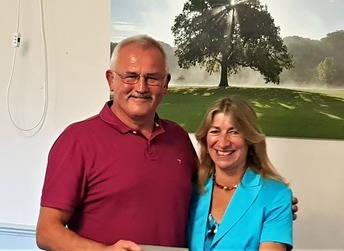 The course was in magnificent condition, and the Chairman of the charity, Debbie Inskip, thanked the club and all whom attended in order to support the event. As to the results, all teams were under par for the day, and only 3 points separated the top 5 teams. 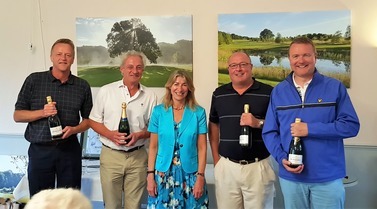 Last year's winners, comprising of Clive Haywood, John Simpson, Peter Wilson and Neil Tabraham (aka The Defenders) came a very close 3rd; having scored 86 points, they were only beaten on a countback of the last 6 holes. Pipping them to second place were the team 'All Roads lead to Sintra', comprising Richard Caunt, Kevin Dunbar, Gary Watson and Nigel Milford. 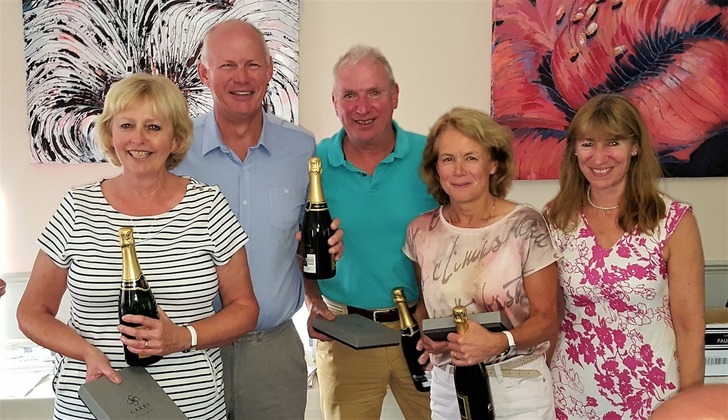 However, continuing a trend whereby the incumbent Captain steers home the winning side, the 'Prosecco Four' of Jim & Frances Godfrey with John & Sue Cribb, took top honours and the trophy with a magnificent 89 points. This captaincy thing clearly doesn't weigh too heavily on Jim's shoulders! 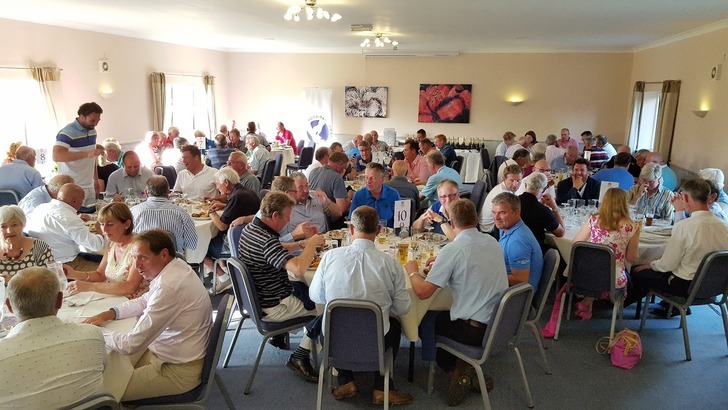 All the participants enjoyed a two course meal afterwards in the Biddenham Suite, and Nick Willis even came along to run the auction - all in aid of the Bedford Hospital Charity. 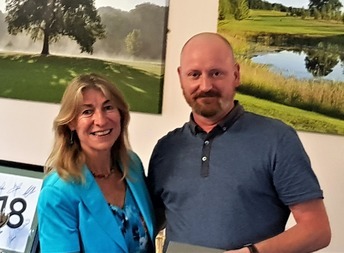 The annual Bedford Hospitals Charity Golf Day took place at Bedfordshire Golf Club on Thursday 22nd June and we're delighted to report that the event was another big success for the charity, raising many thousands of pounds towards their scanner appeal. 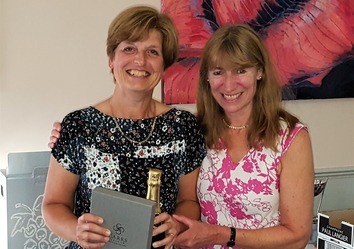 In terms of the golf, it was also a big success for Bedfordshire Golf Club members as numerous prizes were won by them including Best Overall Team performance. 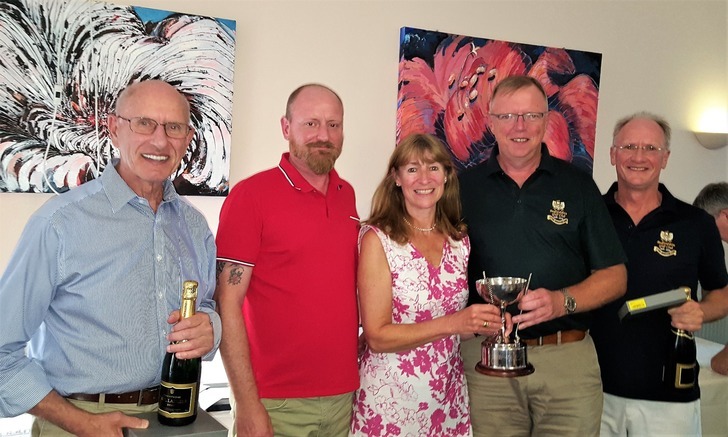 The Captain's Crew team of John Simpson, Clive Haywood, Neil Tabraham and Peter Wilson can be seen below receiving their prizes from Chair of the charity Debbie Inskip. 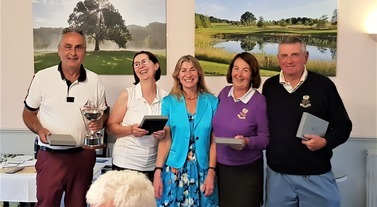 Not only did club members win the best overall team result but they also picked up the Mixed Team award with Birdies and Bogies team comprising Steve and Sue Long & Chris and Clair Williams winning this, see below. 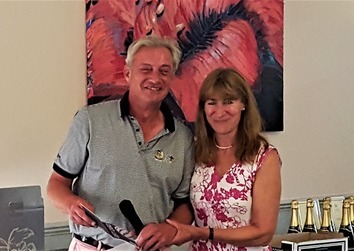 Other winners included 'Nearest the Pin' for Past captain' Kevin Dunbar and 'Best Ladies Score' to Judy Greevy. Both are below shown receiving their prizes from Debbie. Well done to them and all the other winners. The Biddenham Suite was packed after the event for an excellent meal and then a very successful auction of promises. 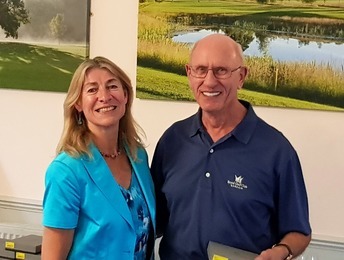 Debbie said that the charity was delighted to have such a great venue for its fund raising golf day and she looks forward to returning next year.